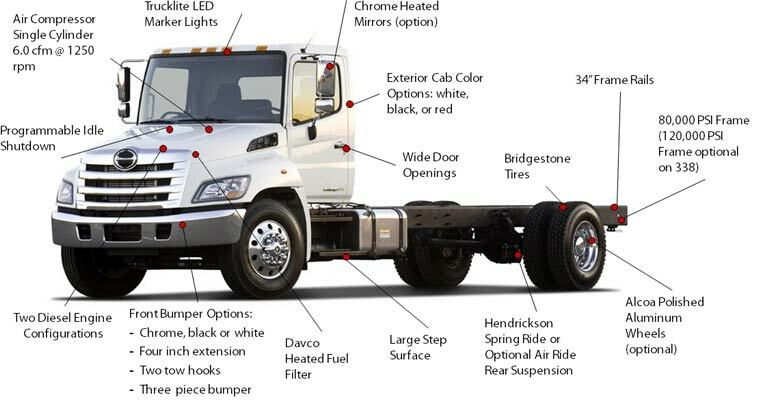 Hino Trucks offer you some of them most powerful, reliable, quiet, and fuel efficient light and medium duty trucks available. 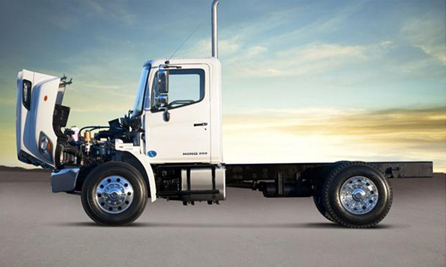 With over seventy years in the commercial truck business, Hino Trucks can offer you a safe, dependable, and customizable ride that fits almost any needs. 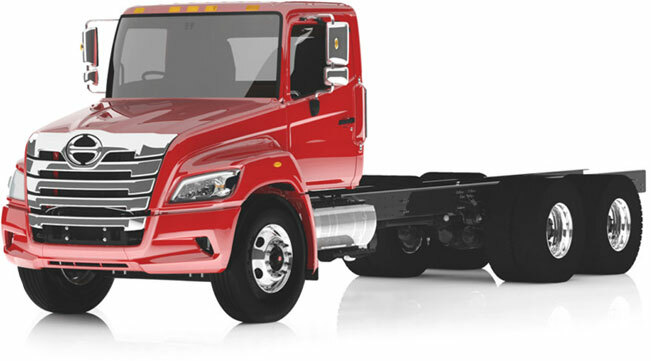 When you are looking for Hino Trucks in Detroit (Romulus), or Saginaw, turn to Interstate Trucksource. 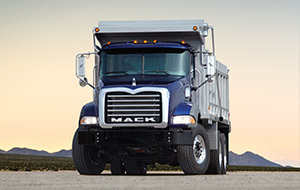 We are are one of the premier dealerships for new Hino Trucks in Michigan. 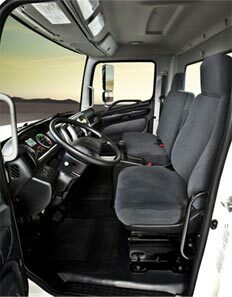 The Hino Cab Design is one attractive charcoal toned roomy cab with conveniently located controls! It’s wide cab design with high seating positioning for excellent visibility and cleanable surfaces provides not only a great servicability truck but also one with great ergonomics! Fit, finish, attention to detail. Every hose, every connector, every junction block. A logical component layout for ease of service. The right balance of power, torque and fuel economy: Hino Engines, Allison Automatic Transmissions & Dana Spicer Drive Lines and Clutches. Hino has Elected to Implement Full on Board Diagnostics - Monitors Functions and Thresholds. 2. 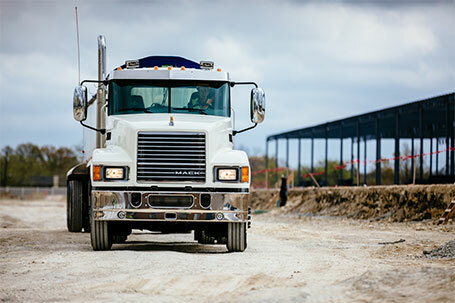 The driver brings the vehicle to a Hino dealership for maintenance. 3. 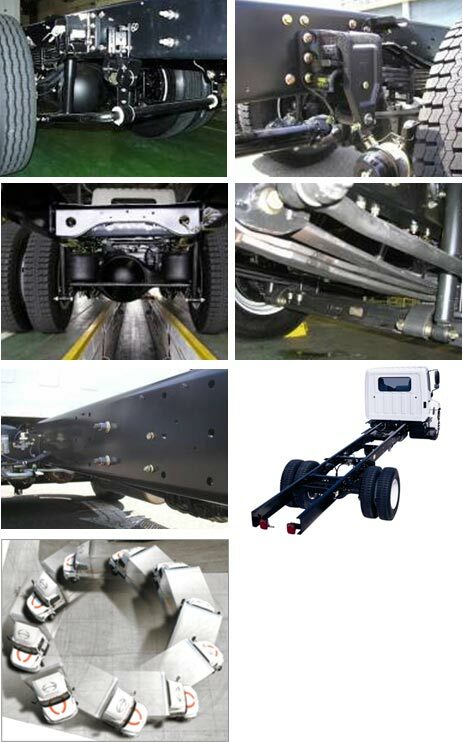 The Hino Diagnostic Link is used to locate the part that requires maintenance. 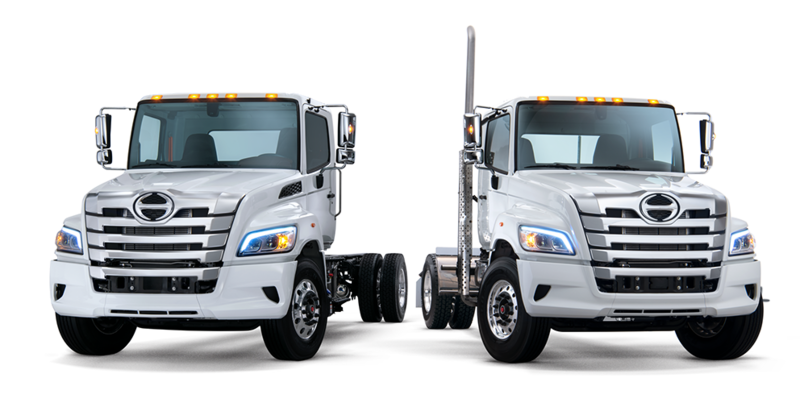 For more information on the outstanding features available on new Hino Trucks and the best sales, service, and advice on Hino Trucks in Michigan, contact Interstate Trucksource today. Our experts will help you find the right vehicle for you, no matter what industry you’re in.